Welcome to another book promo on Lipsyy Lost & Found where I’m always thrilled to support indie authors & publishers. 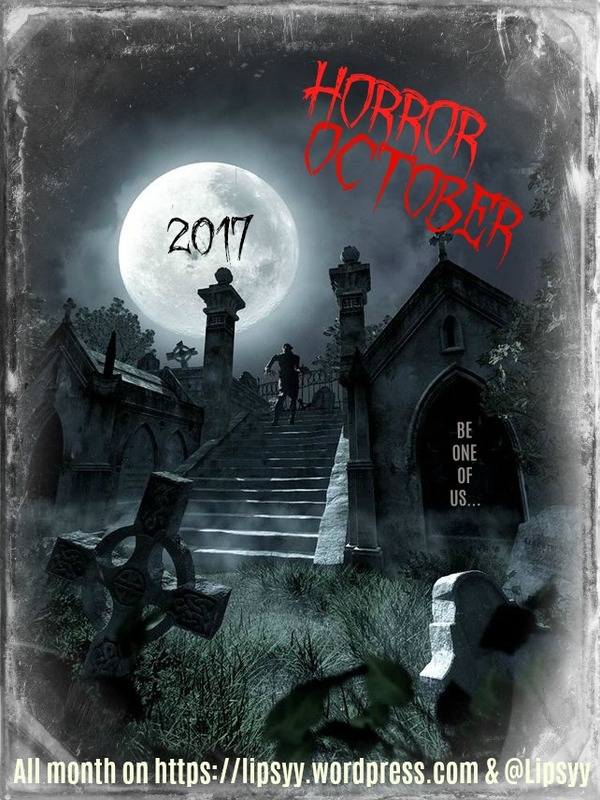 Thanks to Xpresso Book Tours for arranging the blitz and giveaway for this brand new YA horror novel by Kelly Charron. 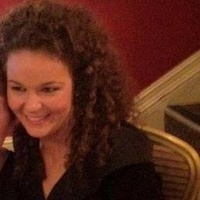 Kelly Charron is the author of YA and adult horror, psychological thrillers and urban fantasy novels. All with gritty, murderous inclinations and some moderate amounts of humor. She spends far too much time consuming true crime television (and chocolate) while trying to decide if yes, it was the husband, with the wrench, in the library. She lives with her husband and cat, Moo Moo, in Vancouver, British Columbia. For a chance to win a $50 Amazon voucher enter the rafflecopter Blitz-wide giveaway here. Open internationally. It was hard to pick my first. Call me sentimental, but it had to be just right. I knew how to deal with someone like her. After all, I had killed. 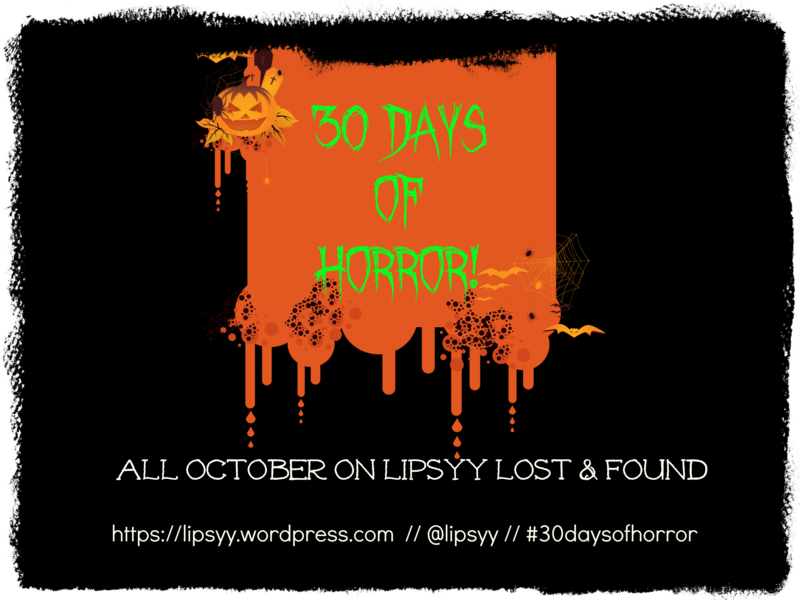 Welcome to another book promo on Lipsyy Lost & Found. The wonderful Xpresso book tours have arranged the blitz and giveaway for this new Peter Pan retelling. Check them out if you haven’t already. The bright light that radiated from Hollyhock’s little body half-blinded Gwen in the otherwise dark room, but Hollyhock flitted in front of her, and Gwen caught a glimpse of the creature. Her eyes were unusually wide, and her massive irises were an otherworldly color for which Gwen had no name. Her itty–bitty lips and nose were hardly there at all, but her sunny hair was pulled back in two long, dangling braids. Her limbs were like twigs, and she wore a leaf draped over her like a tunic. Gwen didn’t need to be told that she was looking at a fairy. Huge thanks to the author/publisher and Xpresso Book Tours. Thirst: Blood of my Blood is the debut novel by R.P Channing and sounds like a mixture of all my favourite genres; YA; Paranormal Romance; Vampire Fic; Dark Fantasy – and all in a high school setting. Hurrah! Cory Rand has not had an easy life. His mother died in a car accident when he was twelve, and so did his mother’s best friend…sort of. You see, Janice made a promise to take care of Cory just before she died, and so she lingers. Undead. A ghost that watches him. 2. Go to Starkfield Academy, which Cory is pretty sure is run by vampires. But, hey, at least he’ll get an education. I had the perfect shoes and the perfect friends and I lived in the perfect house. My nails were perfect and my hair was perfect (except on Sundays, it was always windy on Sundays) and I had the perfect clothes. My lips were a perfect red and my hair perfectly straight. My eyeshadow was perfect, my hips were…okay, and my waist…well…also okay. Nothing was wrong in my life. Would he, like, die? As in — dead, nada, kaput, finito, gone, no more? Bye bye, sayonara, ciao, hasta la vista baby and all that? I couldn’t have that on my conscience. No way. I lay on my bed, wondering what to do about him. “Jaaaaaaack,” I hollered. His eyes rolled down to the ground. He was making those puppy eyes again. His puppy eyes became worse. His skin was gray and, well, dead. Welcome to my new-look monthly round-up! August was an average reading month for me, but I read some great books that will no doubt be filed under ‘favourites’ for years to come. August was also the month of free books, a wedding, a David Bowie festival in the middle of nowhere, The Great British Bake Off, and a Kyle XY marathon. But mainly, August was the month that James Frey emailed me. Plurally. And sent me a copy of his book Endgame (and a USB stick), after I had a little rant about some idiots on Goodreads slagging it off before they’ve even read it. If you can’t tell, I am still ecstatic about this. Anyway on to the stats. And continue reading for a look at the best September Releases. I also bought The Red House by Mark Haddon from a Charity Shop. Couldn’t resist. 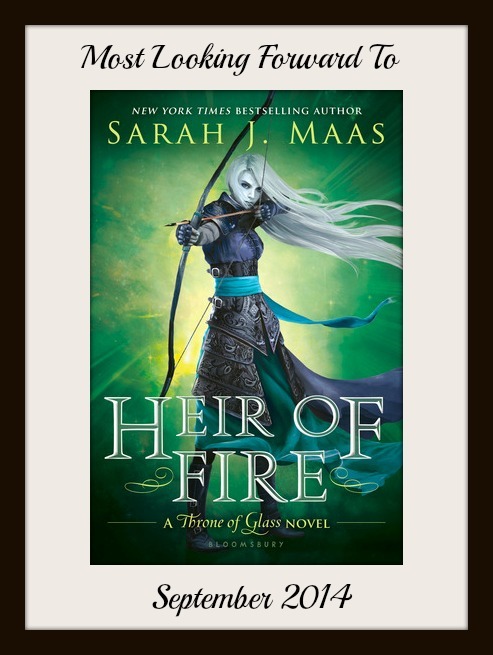 After last month’s NetGalley frenzy I didn’t request any more ARCs month. I did download this ‘Read Now’ title though. The cover is terrible, but the fact that it’s written by an actual surgeon is what tempted me. Seeing as September is the start of the Autumn/Fall publishing season, there are SO many awesome-looking September releases. Here is my pick of the best. Seeing as I don’t have a review for you today I thought I would just share my recent book joy. I had the BEST book luck last week! I won two books in Goodreads giveaways, was sent Endgame by James Frey, and won a new book of unseen David Bowie photos in a raffle. Maybe I should play the Lottery this week? How well do you really know those you love? Jenny loves her three teenage children and her husband, Ted, a celebrated neurosurgeon. She loves the way that, as a family, they always know each other’s problems and don’t keep secrets from each other. But when her youngest child, fifteen-year-old Naomi, doesn’t come home after her school play and a nationwide search for her begins, secrets previously kept from Jenny are revealed. 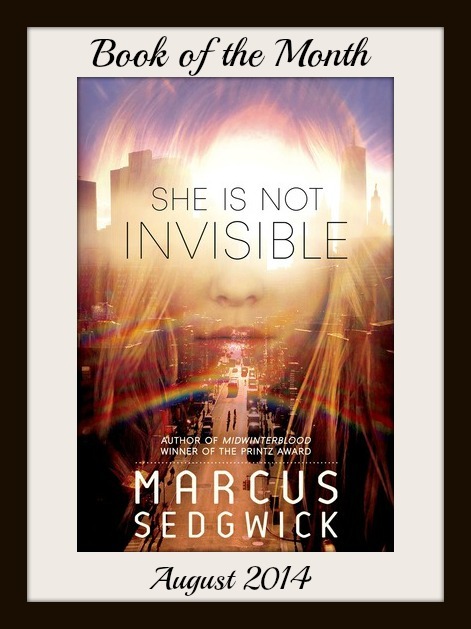 Naomi has vanished, leaving her family broken and her mother desperately searching for answers. But the traces Naomi’s left behind reveal a very different girl to the one Jenny thought she’d raised. And the more she looks the more she learns that everyone she trusted has been keeping secrets. How well does she really know her sons, her husband? How well did she know Naomi? If Jenny is going to find her, she’ll have to first uncover the truth about the daughter she thought told her everything. The house was silent. No sound of her parents getting ready for work, or her brother late for school. Were they punishing her for last night? She’d been out on a date when she should have been studying, and had a huge fight with her father. So where was everyone now? Why had her family disappeared? Twenty-five years later the mystery is no nearer to being solved and Cynthia is still haunted by unanswered questions. Were her family murdered? Abducted? If so, why was she spared? And if they’re alive, why did they abandon her? No Time for Goodbye was published in 2008 by Orion Books. Barclay’s new book, No Safe House is out now. 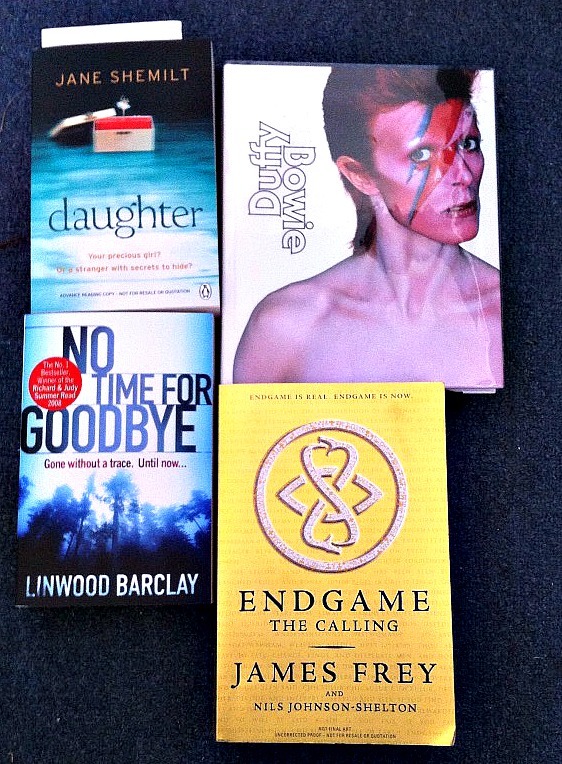 Author lipsyyPosted on August 21, 2014 Categories Book Geeking, Uncategorized, Upcoming Releases & GiveawaysTags Book Haul, David Bowie, Duffy Bowie, Giveaways, Goodreads, James Frey, Jane Shemilt, Linwood Barclay, New Releases, Stacking the Shelves2 Comments on Incoming: Best Book Week! Today, Aoife Marie Sheridan stops by on her blog tour for the first book in her Saskia Trilogy, Eden Forest, a fast-paced YA Fantasy. Eden Forest is told through the perspectives of protagonist Sarajane, her mother who had disappeared without a trace, and Bellona, the evil queen of Saskia. Saskia is a world parallel to earth in which magic exists and people are categorised into whichever type of magic they show an affinity for, earth, air, fire or water. It is here that Sarajane is reunited with her mother, but at the same time she’s thrust into a world in turmoil. 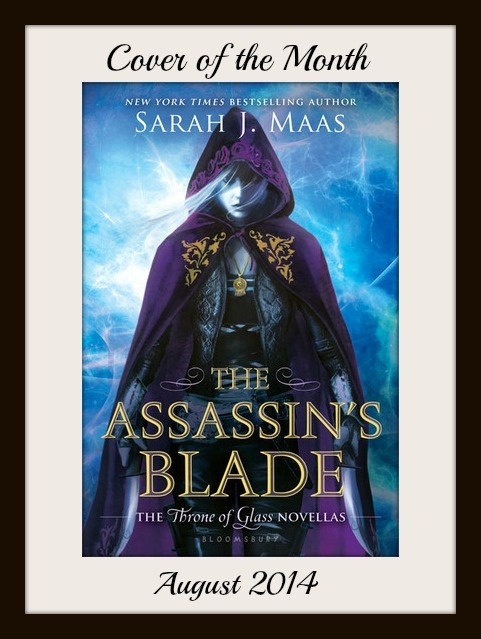 It’s up to Sarajane to save Saskia from Queen Bellona and the angel Lucian who are hell-bent on destroying everything. 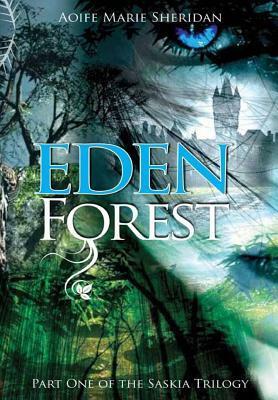 After what I found to be a slow start, Eden Forest really picked up the pace and I didn’t want to stop reading. The characters are all well rounded enough to either love or hate them (I can’t stand wishy-washy characters). Queen Bellona was a great villian; both evil and intelligent, and Sarajane was the perfect ratio of innocence and sass. Sheridan did a good job at world-building here too. Saskia is a complex place with its own history, morals and values, and I was pleased that we learnt about the creation of the world, even if I felt we were told too much too quickly sometimes. The main thing that fascinated me about this story, was the way it looked at relationships and family. Sarajane was judged harshly for her mother’s relationship with the King, even though it was pretty clear that he loved her, not to mention that Queen is totally evil. I also really liked the whole ‘matching’ thing. I also loved the friendship that developed between Sarajane and Alana – who she appoints as her personal guardian – despite women not usually being permitted to fight, and I thought the love story between Sarajane and Tristan was exciting and realistic. He definitely did it for me…Tristan’s are always hot! Eden Forest is an ambitious, entertaining story. Once I was sucked in, I couldn’t put it down. At times, I felt like I was being told too much at once, and there was quite a lot of telling not showing, but considering the scope of the story it’s not surprising…there was a lot to explain! I have the feeling that this series will get better and better. Aoife Marie Sheridan has loved reading from a very young age, starting off with mills and boon’s books, given to by her grandmother her love for romances grew, by the age of 14 she had read hundreds of them. Aoife had a passion for writing poetry or in her eyes her journal entries. It was something she did throughout her teens and into her twenties. Aoife won first place for two of her poems and had them published at a young age of just nineteen. Realising she needed to get a real job (What writing isn’t) she studied accountancy and qualified working in that field for many years, until her passion for reading returned and she found Maria V Snyder. Poison study one of her favourite books has been read and re-read countless times. Aoife’s first book Eden Forest (Part one of the Saskia Trilogy) came to be after a dream of a man and woman on a black horse jumping through a wall of fire and the idea of Saskia was born. 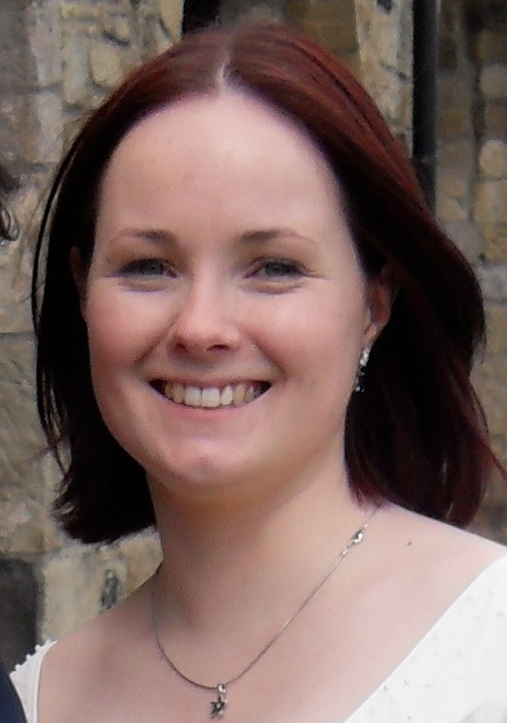 Now with her first novel published and taking first place for Eden Forest with Writers Got Talent 2013, Aoife continues to write tales of fantasy and is currently working on her third book for the Saskia Trilogy amongst other new works. Aoife is giving away 2 e-copies of Eden Forest, and 2 e-copies of book 2, City of Secrets. Open Internationally. Did I ever mention that I love tennis? Oh I thought so…so you'll understand how thrilled I am to hand over my blog today to Jennifer Gilby Roberts, author of Tennis Romance, After Wimbledon. Continue reading for Giveaway details! Naturally, for a novel by an English writer about the Wimbledon tennis tournament, After Wimbledon was born in Australia. For the tennis fans: it is the Laura Robson of chick lit novels. At the same time, I was struggling with a decision. I’d been dating someone for a couple of years before I went away and had left him back home. In a twist on the classic tale, he was sure we were for keeps and I was uncertain. I was only 23 when we started dating and wasn’t expecting to get serious. Marriage was something for my thirties, if it happened at all. One morning, in a shower stall at the hostel, I broke it off over the phone. It was Australia Day, but the fireworks seemed rather out-of-place. 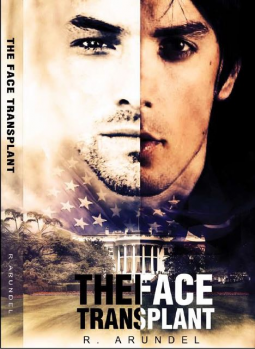 A few weeks later, I decided it was time to write another novel. My first, The Dr Pepper Prophecies, had been completed five years earlier. Suddenly, I had something to write about again: tennis and major life confusion. And out of those things After Wimbledon was born. The first draft contained much angst. I reckon I cut out about 30,000 words to get to the final version. I’m just counting that bit as therapy. It’s a much better read without it! You can win an e-copy of After Wimbledon, and many other great ebooks, in the Chick Lit Ebook Giveaway on Jennifer Gilby Roberts’ blog, 1-14 March 2014. Find Jennifer Gilby Roberts on her blog, Facebook, Twitter, Goodreads, LibraryThing, Wattpad and Amazon. I can’t wait to read this, look out for my review in next fortnight. Huge thanks to Jennifer! 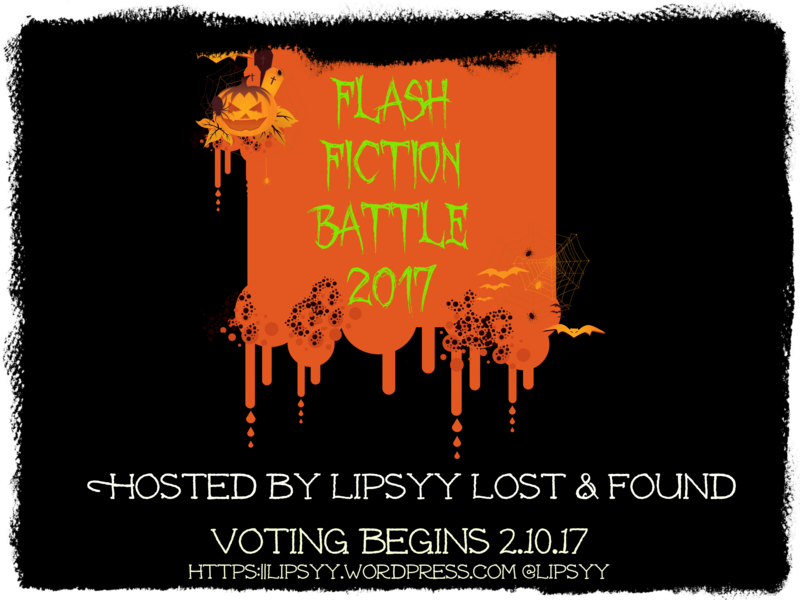 Author lipsyyPosted on March 3, 2014 March 2, 2014 Categories Guest Posts, UncategorizedTags After Wimbledon, Author Inspiration, Authors, British Author, Chick-Lit, Giveaways, Jennifer Gilby Roberts, Romance, Tennis, Wimbledon6 Comments on Blog Take-Over!